I love when a data project yields side information. 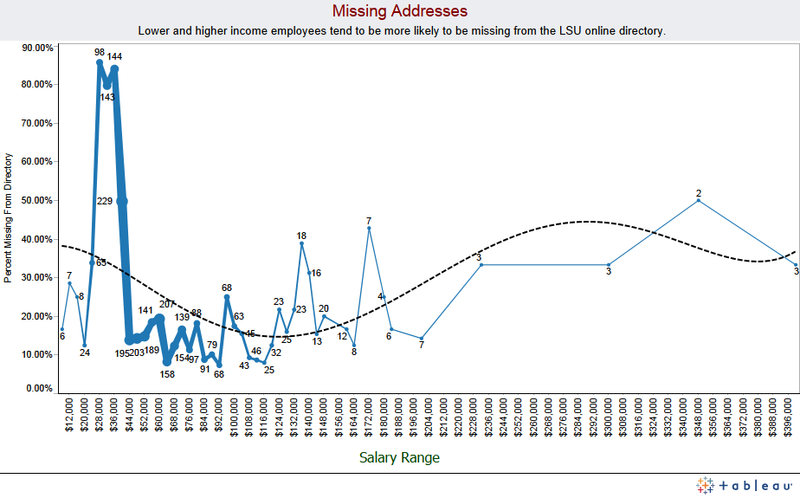 In this case, while searching the LSU directory for employee contact information, I found that lower-salary employees were *much* more likely to be missing from the LSU online directory. Numbers are fun.